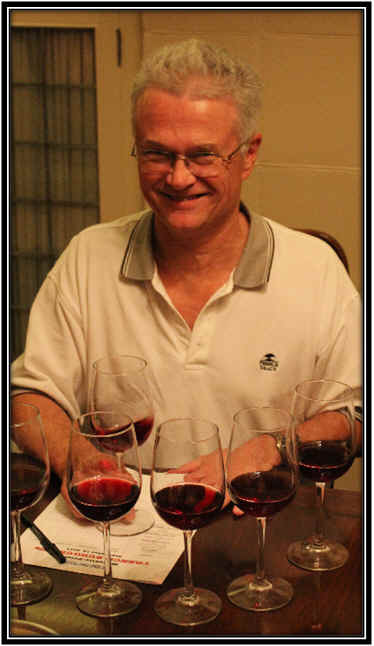 We assembled a set of recent or currently-available vintages of "entry level" red Burgundies from a few favorite producers and a couple of "unknowns" for this month's Vino Fino tasting. 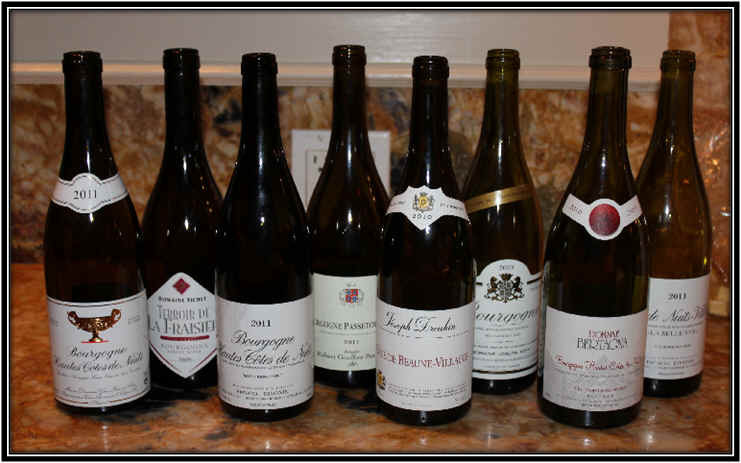 We were able to find entry level wines of some favorite producers; Gros Frere et Soeur, Joseph Roty, Esmonin and Drouhin...and we augmented the roster with Bertagna, Robert Groffier and a relatively unheralded domaine in southern Burgundy, Fichet. 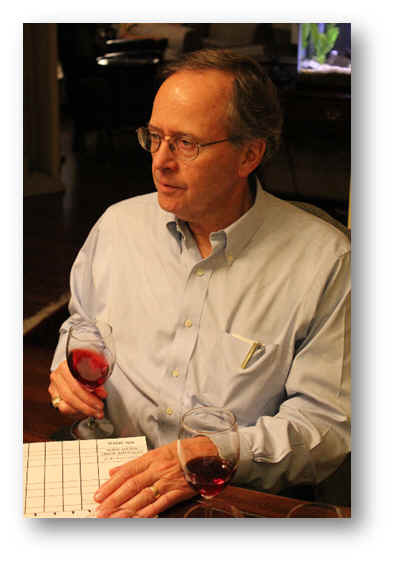 The overall quality of the wines was good...and the tasters remarked that these seemed to change and evolve over the course of the tasting, as several people mentioned ranking wines much differently at the end than they'd had them initially. As the votes were tallied, it became as clear as just-fermented vat of Pinot Noir that we did not have a wine, or two, leading the pack. 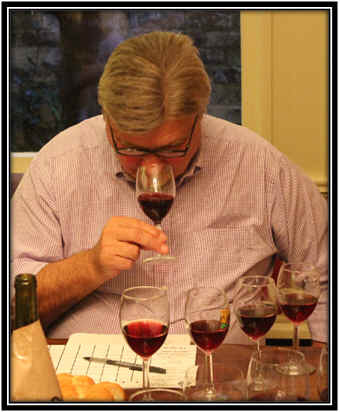 In fact, the results were most unusual with two wines tied for first place (ties are broken by the greater number of first place votes) and three wines within 3 points of the top spot! 8th Place: FR�D�RIC ESMONIN 2011 C�te de Nuits-Villages "La Belle Vue"
7th Place: DOMAINE BERTAGNA 2010 2010 Bourgogne Hautes C�tes de Nuits "Les Dames Huguettes"
Clear in appearance and light garnet in color, this wine had a mildly cherryish fragrance with a faintly woodsy note. I detected a hint of a gamey character, as well, but noted this as a feature more than a flaw. Apparently others did not find this attractive. The wine is medium-light in body. This is dry and has a modest level of tannin...good Pinot fruit and despite its finesse, there's good intensity to the wine! I found this to be quite good and gave it a one star rating. Maybe one star+. 6th Place: JOSEPH ROTY 2009 BOURGOGNE "Cuvee de Pressonier"
Medium garnet in color and clear in appearance, I liked the sweet red berry fruit in this wine. I found it typical of Pinot Noir and a nice expression of "Burgundy." The wine is dry and moderately acidic, with medium+ body. I suspect some of the tasters were not enthralled by the moderately tannic quality of this wine. Despite being one of the older bottlings in the line-up, this was fairly tannic and tight...quite youthful and a remarkably 'serious' Bourgogne. I gave it one-and-a-half stars and noted it can be cellared for another 5-10 years....maybe longer! Clear in appearance and light garnet in color, Drouhin's wine displayed a hint of a smoky note and rather nice, cherryish Pinot fruit. It's dry and moderately acidic...medium-bodied...nice fruit...a bit simple, but bright Pinot fruit and light tannins...perfectly fine, as is usually the case with Drouhin's wines. It has light tannins, but isn't especially complex. One star. 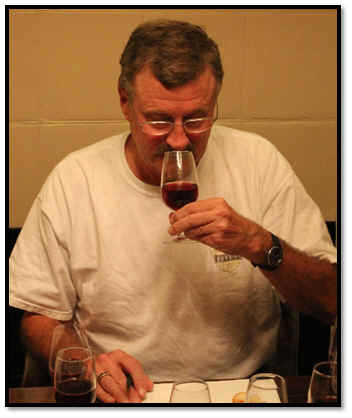 Wines with the designation of "Passetoutgrain" are blends of Pinot Noir and Gamay, though the Gamay influence here is not particularly notable. It's clear in appearance and medium garnet in color. The aromas are of cherryish Pinot Noir, but with a mildly floral tone. Maybe they floral notes are from the Gamay? It's dry and crisp, showing good acidity. Medium to medium-light in body...this wine seemed a bit tight and quite youthful. It's a bit unyielding presently, so I'd expect it to develop and show a bit more charm with a year or two of bottle aging, maybe more. I pegged it as having 5 to 10 years' worth of tannin. At this stage, I gave it no stars, but would expect it to warrant a higher rating with time. This wine was very different from the more costly bottling from Esmonin! It was clear in appearance and garnet colored. The fragrance was nicely cherryish and classically "Pinot." I found this to show a light bit of oak, with a nicely woodsy tone and a hint of smokiness. It's dry and moderately acidic, with medium-light body. The flavors are sweetly cherryish, too, while being fairly smooth and much less astringent than some of the other wines. Very good! One star +. 2nd Place: DOMAINE FICHET 2009 Bourgogne "Terroir de la Fraisiere"
Clear in appearance and medium+ garnet in color, I initially found this wine to show a typical fragrance of Pinot Noir fruit, but thought there might be a hint of a corky note on the nose or some sort of dank cellar smell. It was not strong enough to show itself as "corked," but there was a hint of this quality. On the palate I thought I detected the same character and that it somehow suppressed the character of wine to where it "cut short" the flavor. As a result, I disqualified the wine and ranked it last. 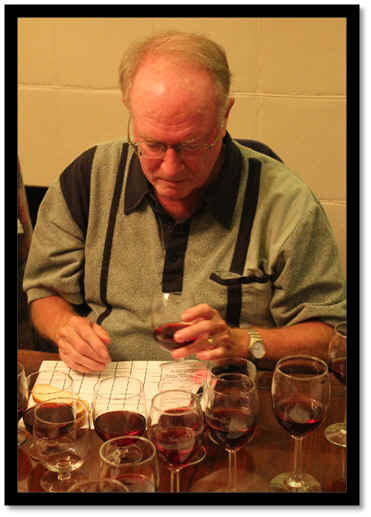 However, only one other person ranked it similarly and I asked him if he thought the wine was corked. He was unsure, saying simply "it had no flavor." I'd prefer to taste another sample of this before passing judgment one way or the other. Medium light garnet in color and clear in appearance, this wine started out beautifully and continued to shine throughout the tasting. The aromas were beautiful...classic Pinot Noir fruit with a suggestion of an herbal, vegetal note along with ripe, red fruits. There was also a touch of sweet wood and a faintly smoky note. Dry and moderately acidic, it's medium+ bodied. The flavors confirmed the elements encountered on the nose with mild to moderate tannins...good fruit matches the mild astringency and suggests this wine can be held for five to ten years, if you're so inclined. I gave it a two star rating...and yet one taster had it ranked last!